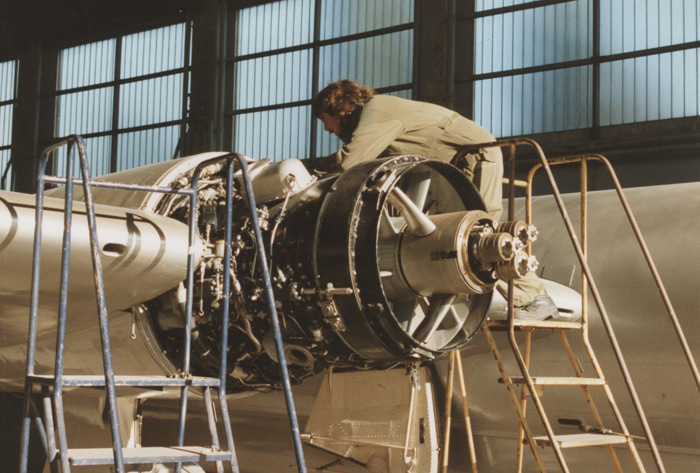 Wyton Airfield has been associated with aircraft and flying for close on 100 years. Originally just being a grass airstrip, but in the 1930s a dramatic change took place at Wyton with four new hangars, taxiways and runways being built. 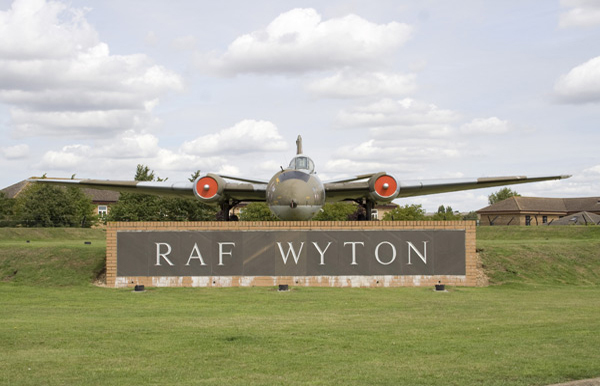 Wyton was chosen for The Pathfinder Forces Headquarters. 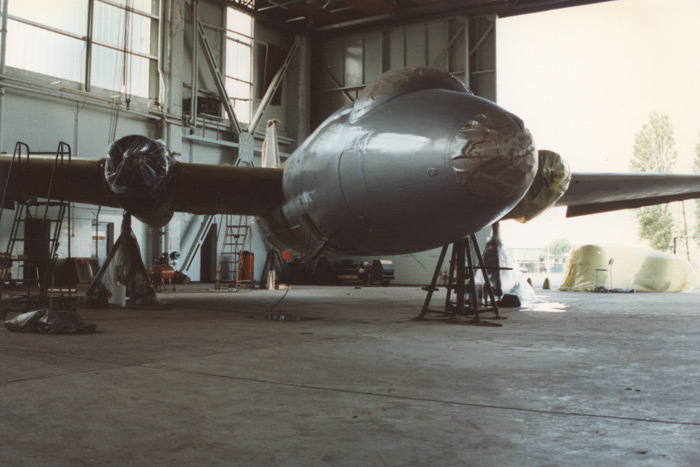 In fact the first sortie of World War II was carried out from Wyton. 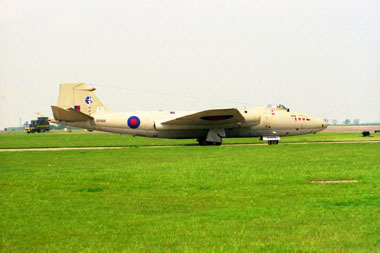 Aircraft operating from Wyton included Mosquitos, Blenheims and Lancasters. 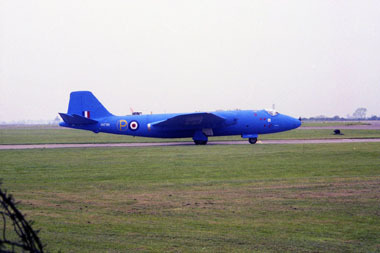 After the war Wyton was used by the American Air Force for a short while and in 1953 a photographic reconnaissance unit arrived operating a mix of different aircraft, which were soon replaced by Canberra Mk PR3s. 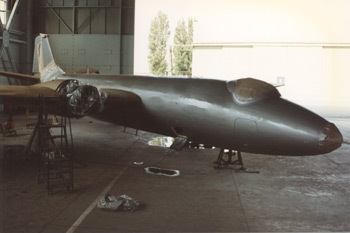 As the years went by other aircraft came to Wyton including the Valiant which was later replaced by Victors of the 543 Squadron. 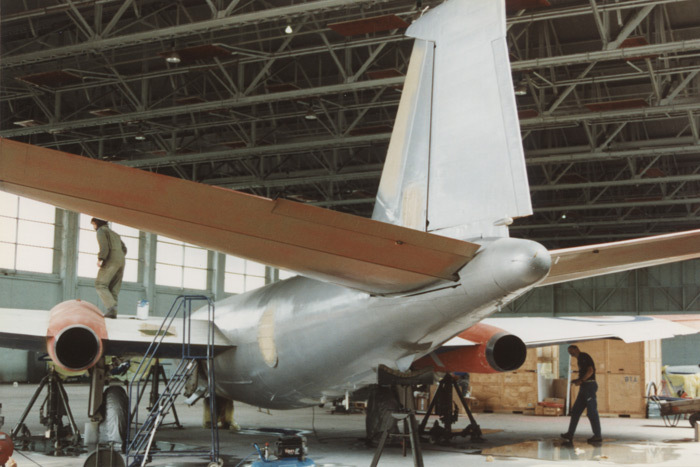 Other aircraft stationed at Wyton were Hastings, Devons and Bassetts and later Comets and Nimrods. 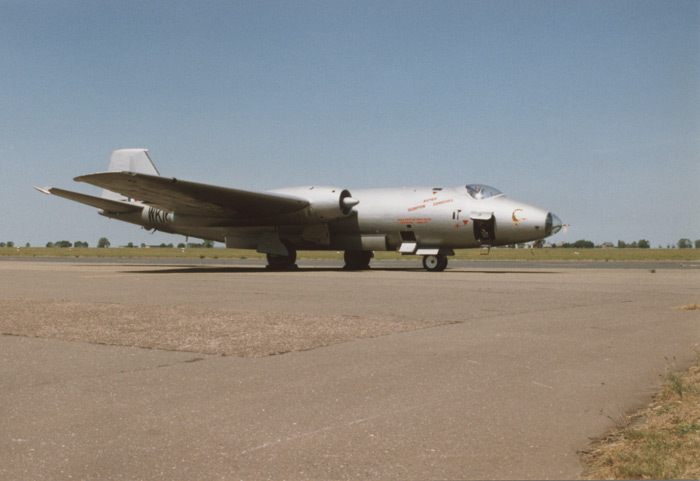 Wyton was primarily a Canberra base having this type on strength for over forty years and in 1989 Wyton hosted the 40th anniversary of the Canberra's first flight which was made on 13th May 1949. 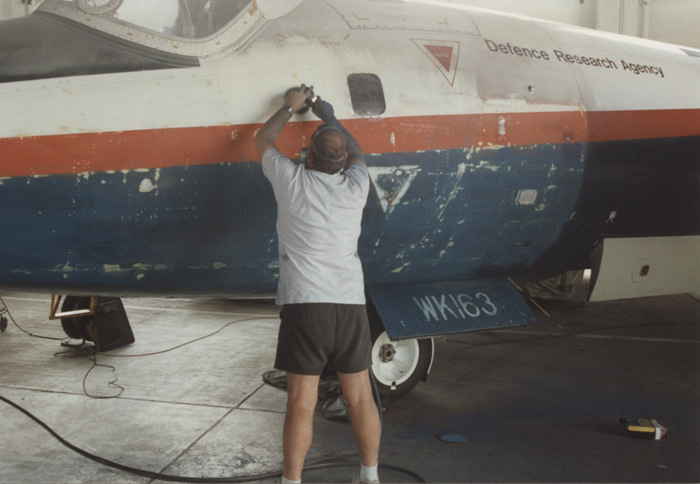 To celebrate this anniversary two T4 aircraft were painted in a blue paint scheme, one of which was flown by Wing Commander Roland Beamont forty years to the day of the first flight. 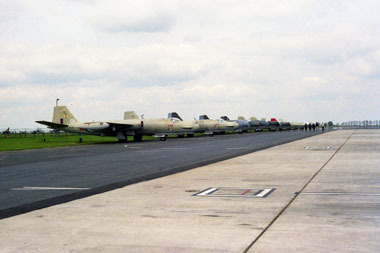 In later years the decision was made to close Wyton with 231 OCU being the first unit to disband. 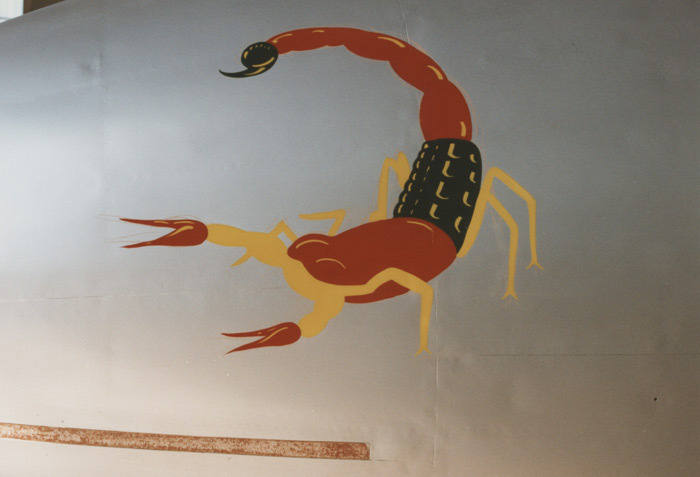 100 Squadron now re-equipped with Hawks moved to RAF Finningley and 39 Squadron moved to RAF Marham in Norfolk. 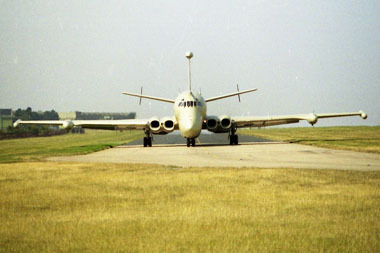 51 Squadron with its Nimrod R1s moved to RAF Waddington in Lincolnshire, which left 360 Squadron with Canberra T17s which disbanded in October 1994. 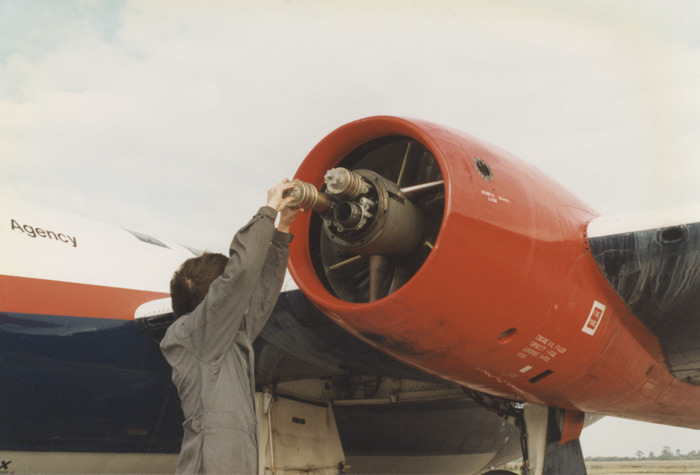 Several years went by with the airfield under care and maintenance, it was then decided to return Wyton to the training role with the new Grob Tutor operated by No. 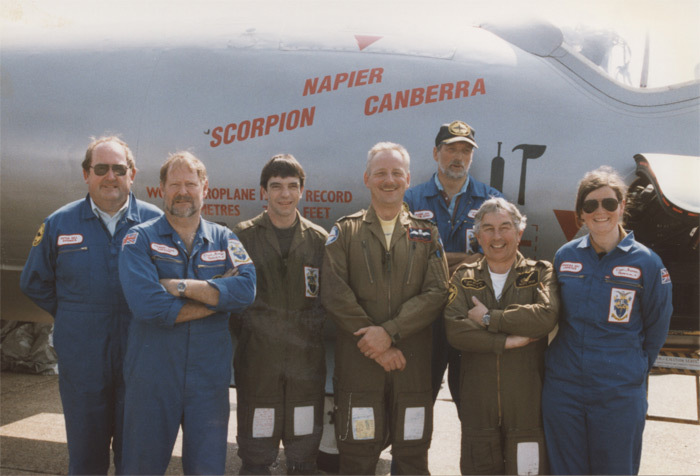 5 Air Experience Flight and the University of Cambridge Air Squadron. 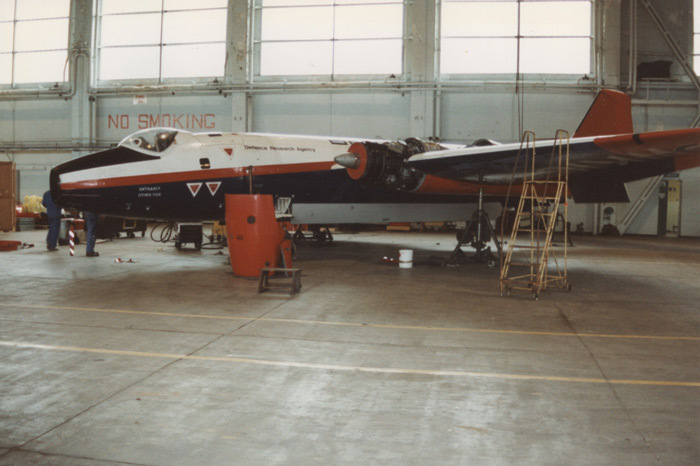 WK163 on retirement from The Royal Aircraft Establishment at Bedford was delivered to Bruntingthorpe Airfield in Leicestershire, having been purchased by Peter and Francis Gill along with XH568 and WT333 to be operated under the Classic Aviation banner. 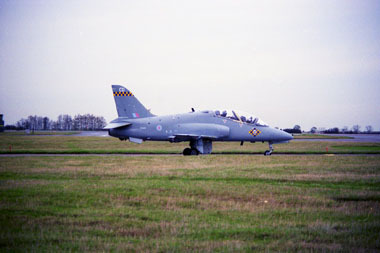 Andy Rake (the pilot for this trip) ferried 163 over to RAF Wyton which was Classic Aviation's maintenance base at the time, where she was duly parked in No. 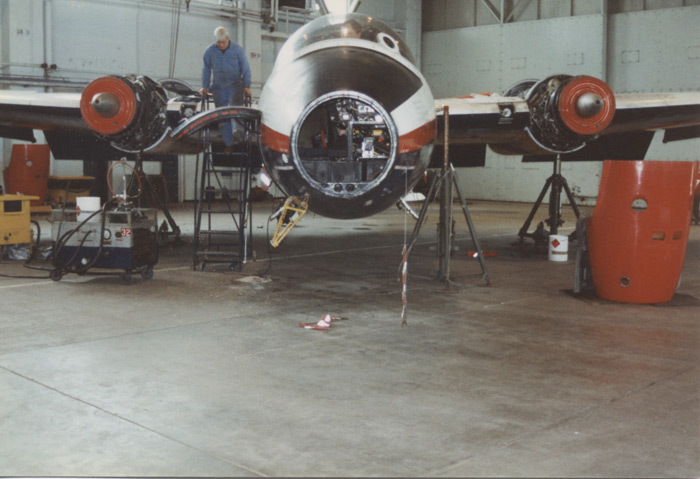 2 hangar. 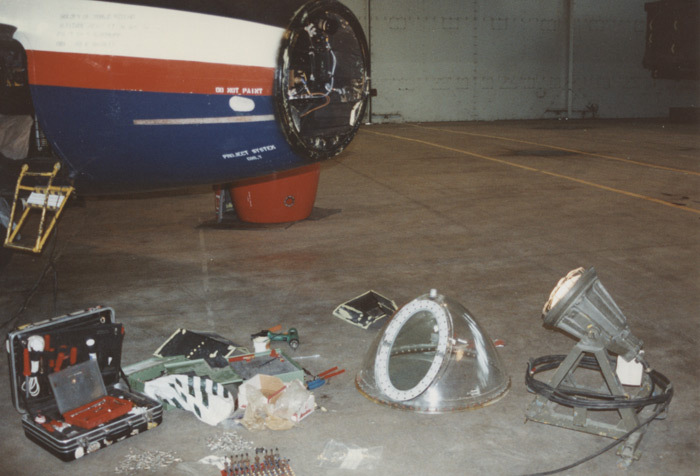 Classic Aviation's dedicated team set about the necessary engineering work on the aircraft, including fitting a new perspex nose assembly. 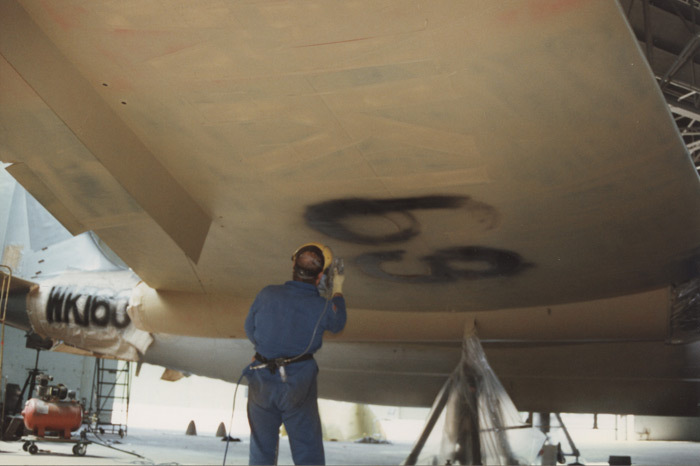 Stuart Ross proceeded to rub down, mask up and respray the aircraft, almost single-handedly (a major project). 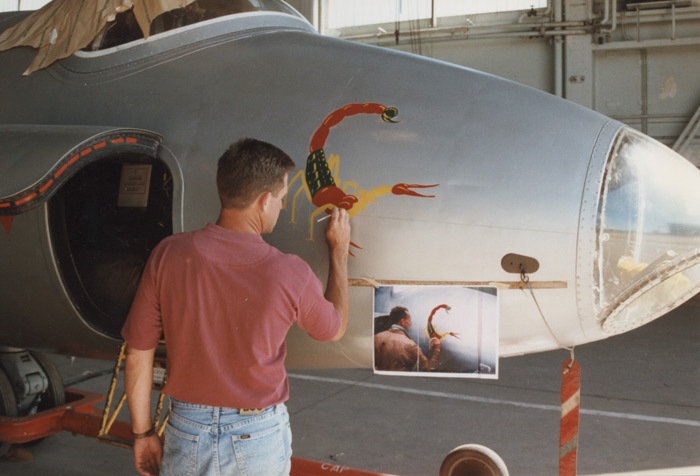 Michael Murrey (a local sign writer) proceeded to paint the scorpions on both side of the aircrafts nose, which completed the paint scheme which the aircraft was finished in forty years previously. 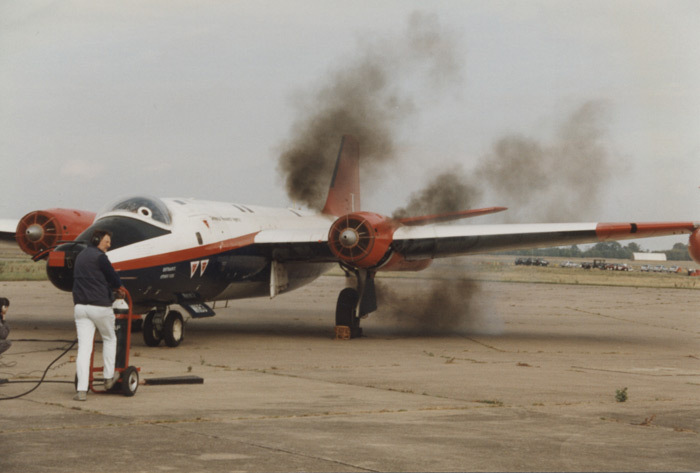 The aircraft was duly towed from the hangar and Dave Piper (the pilot) and Dusty Miller (the navigator) flew the aircraft for an air test, ready for the first air display of the season at the Duxford Airfield in Cambridgeshire. 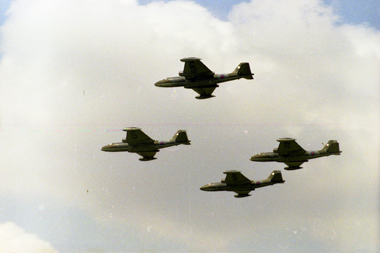 The Grob Tutors in service at RAF Wyton are used by 57 R Squadron and No. 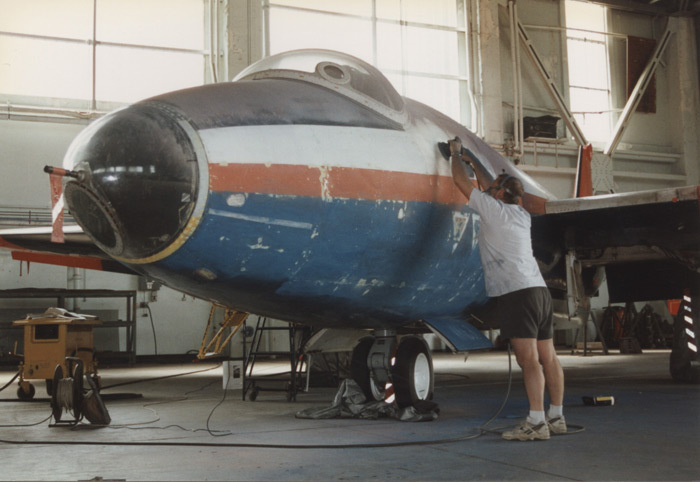 5 Air Experience Flight (AEF). 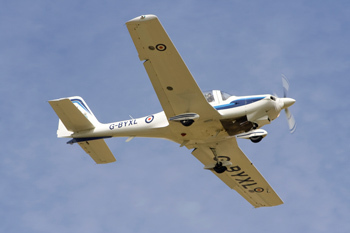 The Tutor was introduced into RAF service in 1999 as a direct replacement for the Scottish Aviation Bulldog. 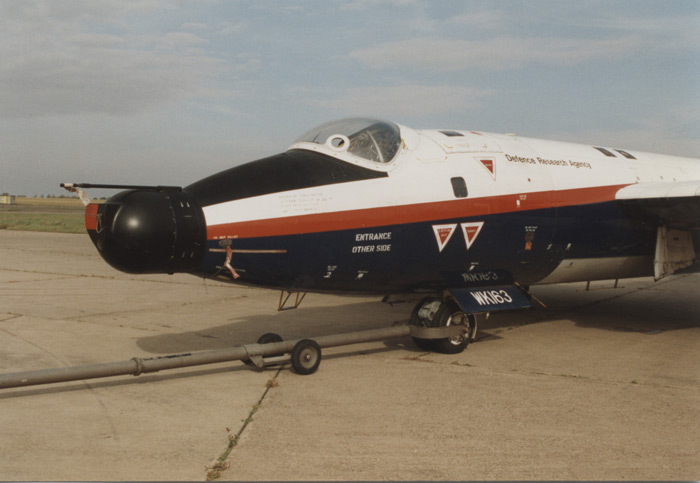 The Tutor is also operated by the Royal Navy and the Egyptian Air Force (EAF). The airspace around RAF Wyton is busy seven days a week, weather permitting and except holidays. 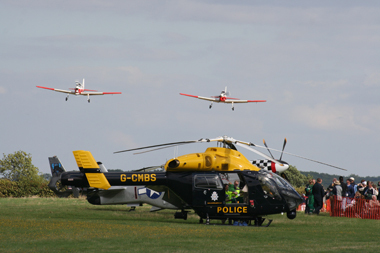 RAF Wyton is also the operating base for the Cambridge Police Force's MD 902 helicopter and the East Anglian Air Ambulance Eurocopter BK117. 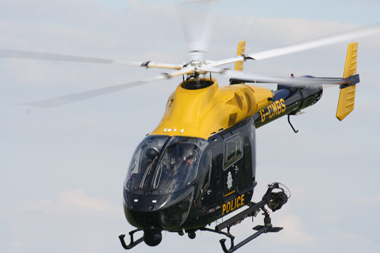 Since the 1990s Cambridgeshire Police have been able to take to the skies in its fight against crime. 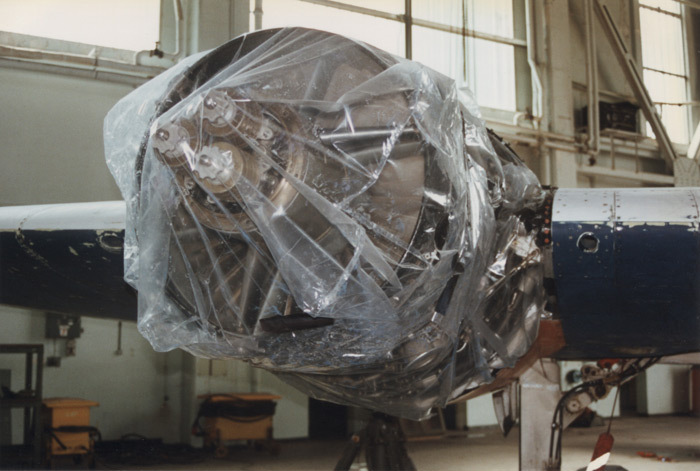 The Force's first helicopter (a Twin Squirrel) was operated from its home base at RAF Wyton in Cambridgeshire. After a while it was decided to replace the Twin Squirrel with a McDonnell Douglas MD 902 helicopter which is quieter, is able to take more passengers and has a better range.